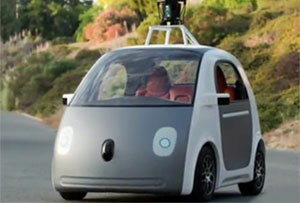 Autonomous cars to make their way around two London boroughs. Self-driving cars will be making their way around two London boroughs as part of a test that aims to see how the scheme run by FiveAI, a British artificial intelligence company, could work. The company has started testing five autonomous vehicles in Bromley and Croydon with trained safety drivers ready to take control if needed. The company's co-founder and chief executive Stan Boland said: "Safety and trusted partnerships are crucial to everything we do. "We'll continue to keep residents informed along the way, working closely with the London Boroughs and Transport for London." Future of mobility minister Jesse Norman said: "The long term potential for self-driving vehicles is huge - to improve road safety, tackle loneliness and isolation and create economic opportunity," he said. "So I welcome the safe testing of this new technology. But increasingly self-driving cars are just one of many innovations we are likely to see on our roads. The Government's new Future of Mobility: Urban Strategy sets out how it will plan for their introduction."